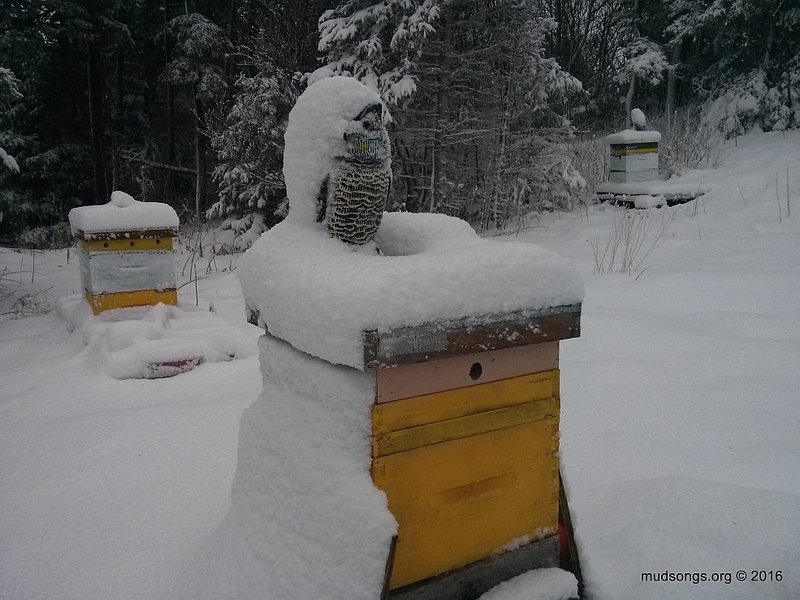 My poor bees have been living off their honey stores since November and probably won’t begin to bring in nectar until sometime in May. 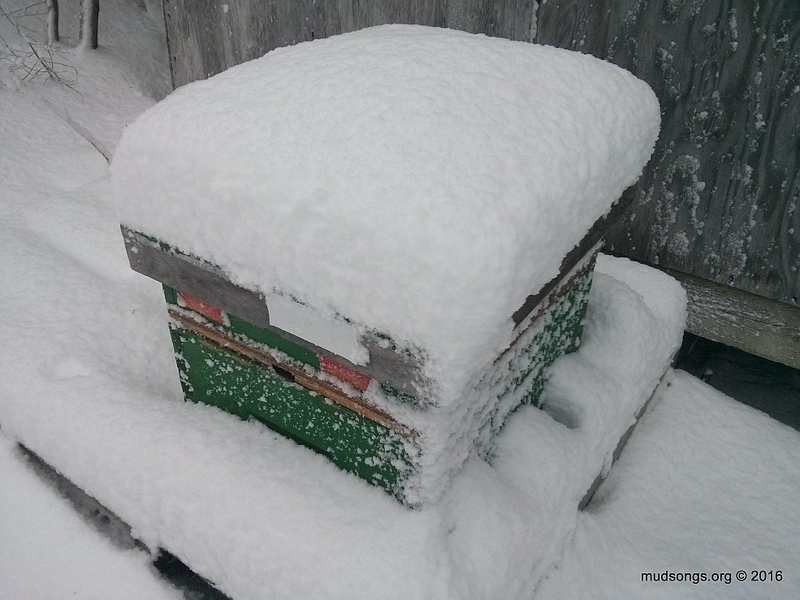 Realistically, winter for my bees is a six-month season. Something to think about. This entry was posted in Month of April, Snow, Weather, Year 2016. Bookmark the permalink. Wow, that’s just harsh! At least here in Colorado, we have some spring in between our snowstorms which allow the flowers and trees to bloom. We’re currently waiting for another snowstorm tomorrow (just getting the first burst right now) and then possibly one for next weekend. Having these temperatures swings is tough on the bees – they build up their numbers and then can’t necessarily get out to forage enough to feed them. Hope your bees can make it to May! Yup, it’s the fluctuations in weather extremes that probably messes with the best the most. April 17th, the bees bring in their first pollen of the year. Three days later the worst snowstorm of the year. A few days after that, it’s warm enough for them bring in pollen again. Three or four days later, bam, another whop of heavy snow. The bees don’t know whether they’re coming or going. And like you said, the brood nest expands and then the cold weather constricts the cluster and possibly leaves some brood in the cold, shuts down honey production, possibly starving some of the bees. We’re supposed to have a warmer-than-usual summer this year. I look forward to it. I also have another tiny colony that I’ve been keeping alive with a heating lamp, but that’s another story I’ll save for another day (if the colony survives).